Jesus was raised in Castroville, California, the artichoke center of the world, where he developed his twin obsessions with traditional fine arts and design. 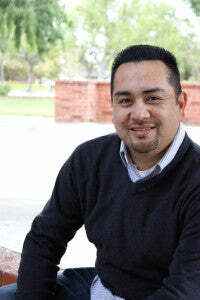 From there, he went on to graduate with a Bachelor of Science in Print Design from California State University, Monterey Bay. After a stint as an outreach specialist, Jesus landed his first job as a graphic designer with national cataloger Discount School Supply. In 2011, his design portfolio caught the attention of the global marketing agency Epsilon, where he was offered a position as a graphic design consultant for eBay Inc. For the following 2 years, Jesus helped to roll out the revitalized eBay logo and brand guidelines across all relationship marketing channels. Today, Jesus works for Hewlett Packard as a visual designer, where he creates high-visibility homepage designs for Canada, the United States, and Latin America. In addition, Jesus is currently a Masters of Fine Art candidate in the school of advertising at the Academy of Art University in San Francisco. Jesus’s master's thesis is focused on rethinking the approach to community outreach through the use of digital platforms and integrated campaigns. You can view a small sample of his work at www.JesusRuvalcaba.com.